Attention dads of daughters! 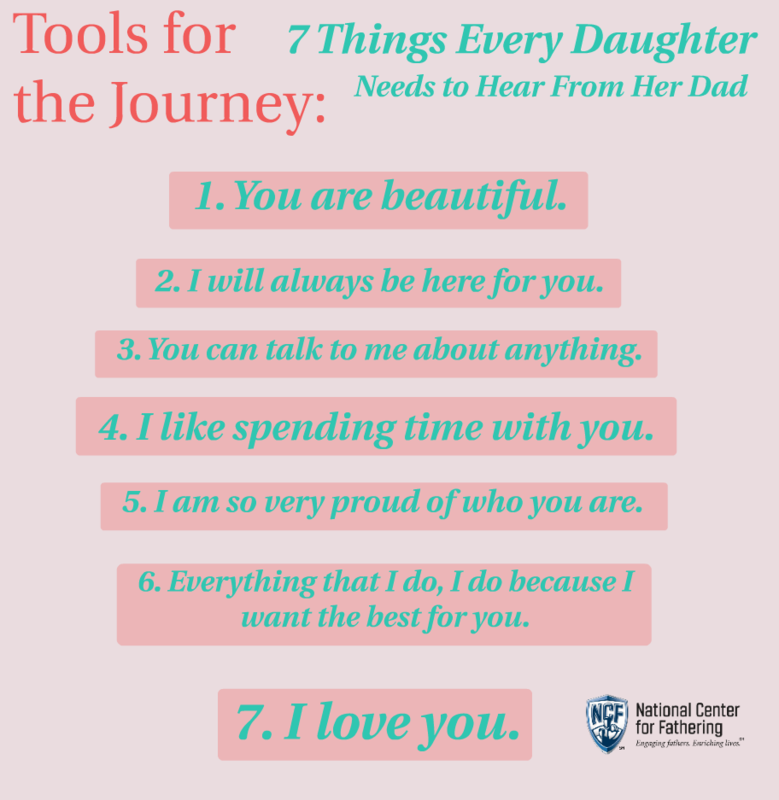 Fathers.com has asked a daughter to compile the top 7 Things Every Daughter Needs to Hear From Her Dad. Make sure to print this out and hang it somewhere for a daily reminder to let your daughter know!